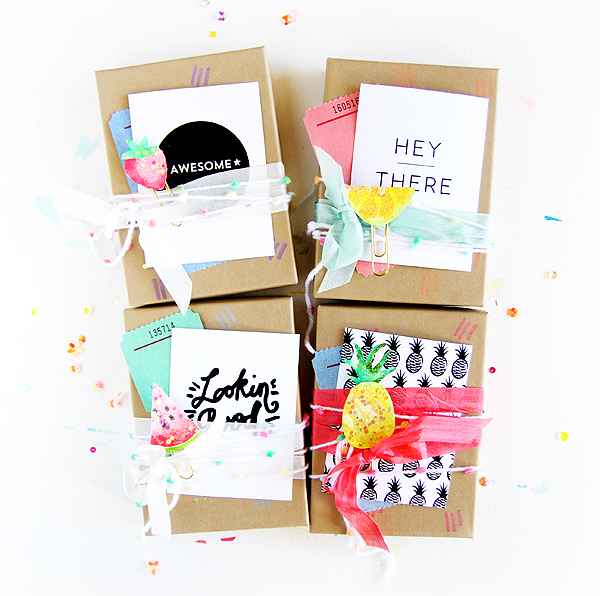 These pretty packages show it's the outside that counts. 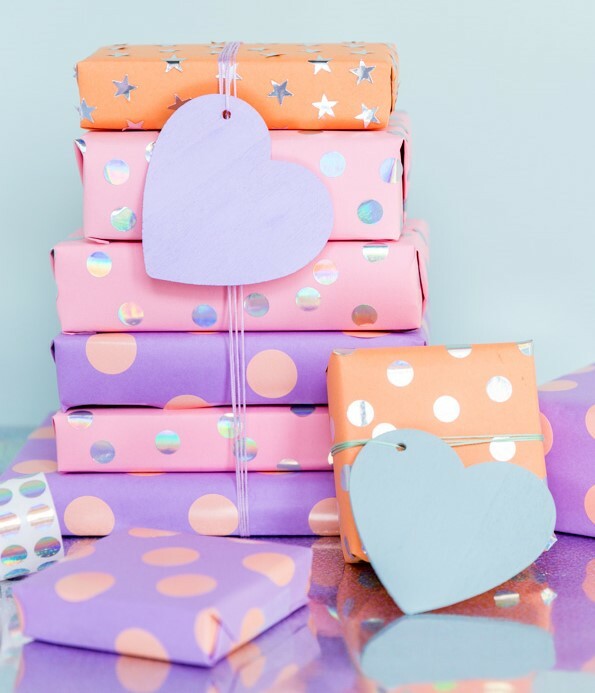 Personalising a present makes it even more special, plus it's a quick, fun way to get hands on and crafty. A soft pastel palette meets simple shapes for this super quick sticker combo. It's way cooler than shop bought wrap and it only takes 5 minutes. 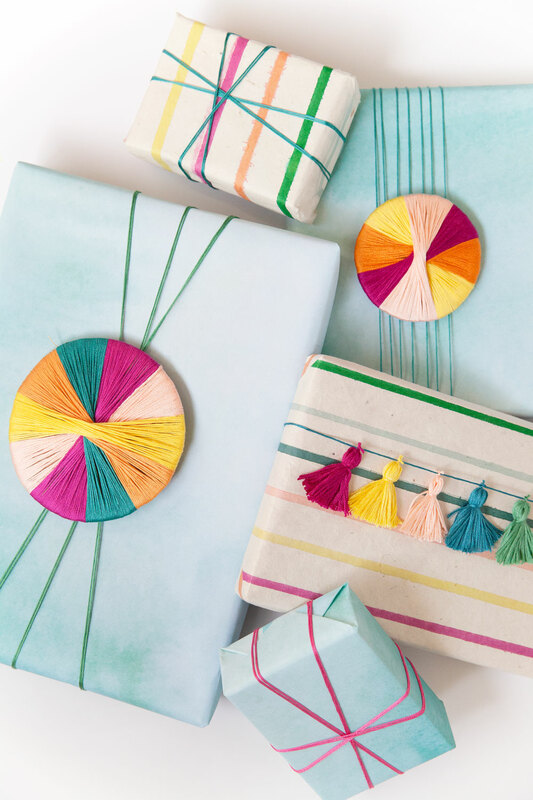 Fringe your gift with bright, gorgeous trims. keep your eye out at vintage stores and garage sales for cheap cut offs, the simply wrap around and tape. 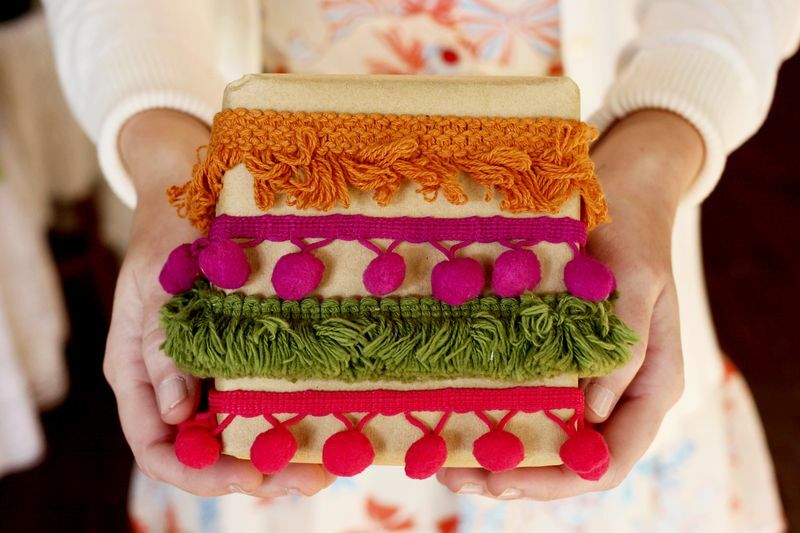 Re-use old plastic gift bags, wallpaper or felt to make these adorable pouches. 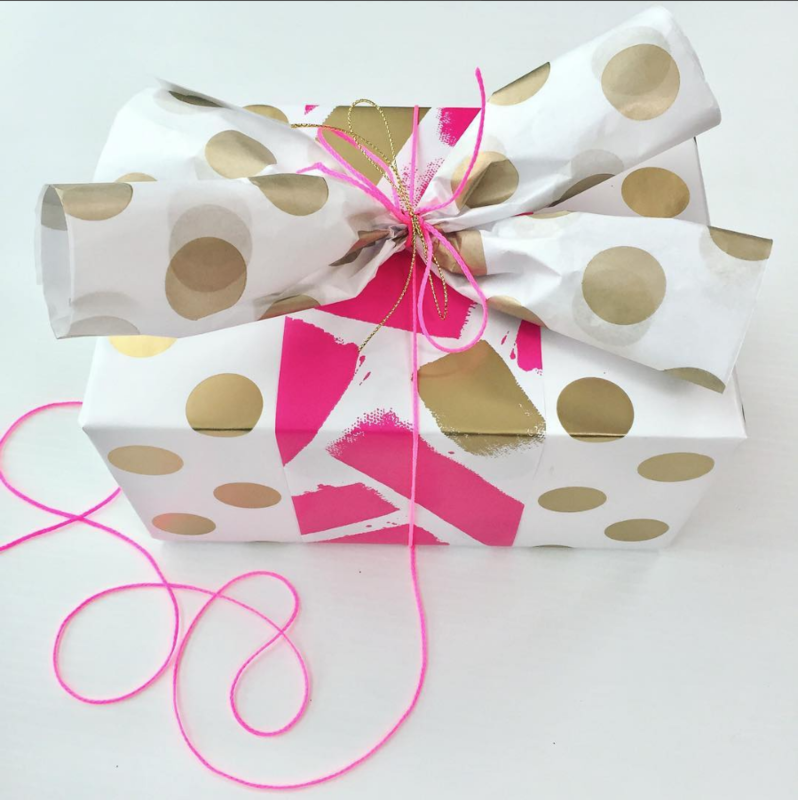 Best for wrapping small presents or stocking fillers, you'll have everyone fighting for the smallest present! 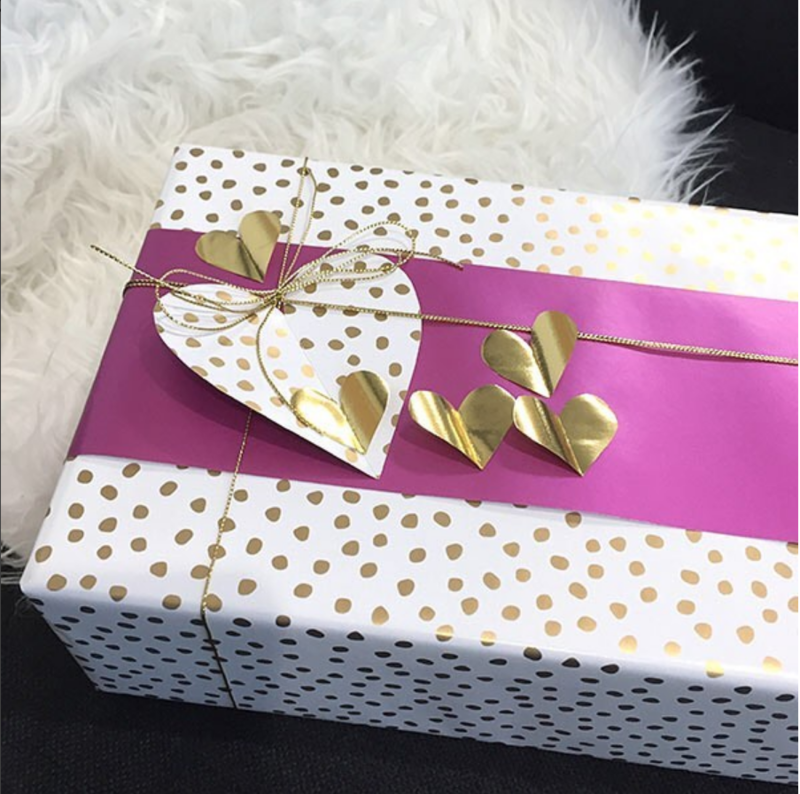 Note the colour accents of your gift wrap and enhance it with added embellishments. Navy and copper with beautifully here for a modern twist to black and gold. Forget traditional. 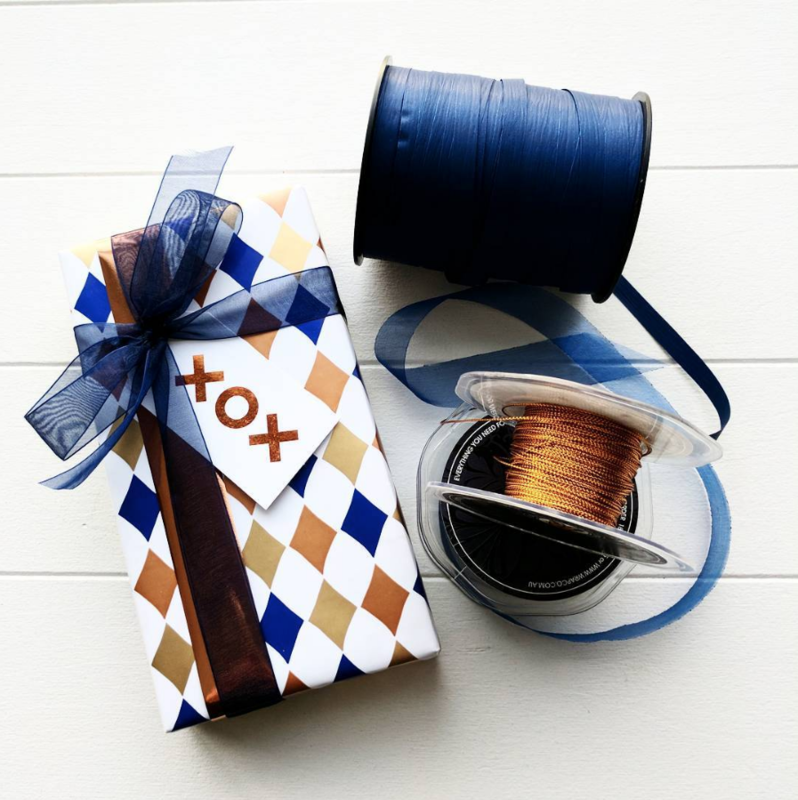 Cotton thread and creativity is all you need for all these amazing wraps. Tiny tassels, a rainbow pinwheel or geometric ribbon are far more unusual than run-of-the-mill ribbon. 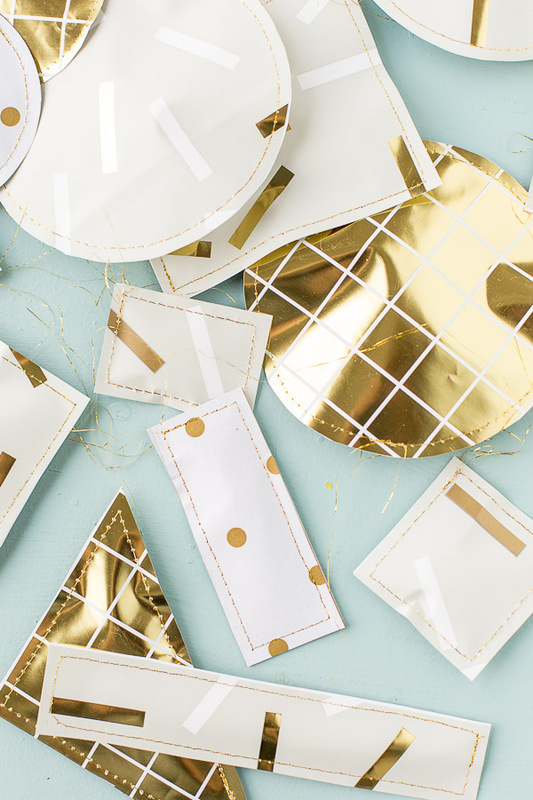 Go for the scrapbook effect with mix and match materials. Cute watercolour snippets, postcards and retro ticket cut outs mean you can fully customise this for the lucky person receiving it. 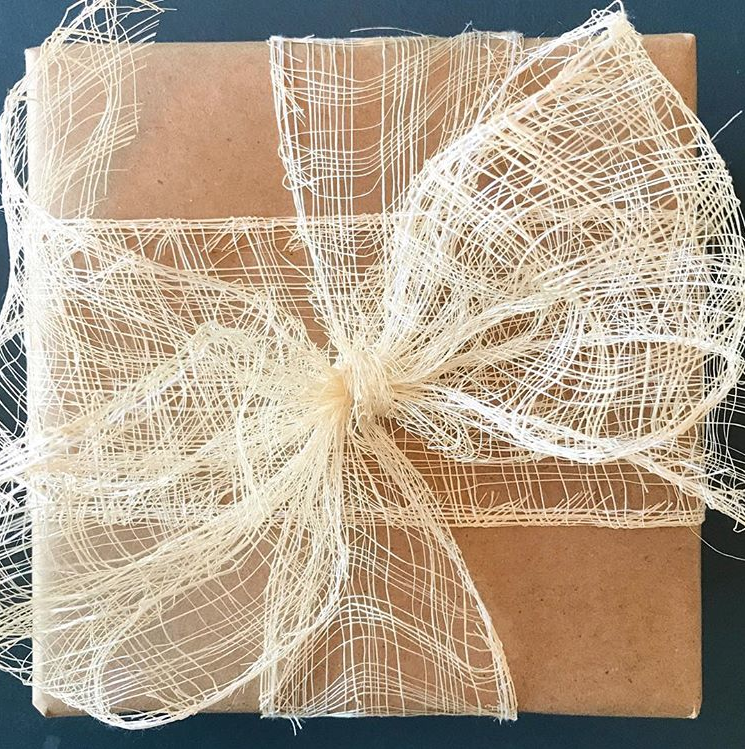 Great gift wrap doesn't have to be gaudy. For the less-is-more person, stick to neutral tines and natural textures. Monochrome doesn't have to be mundane. Experiment with all black everything to create a gift that's bound to stand out. 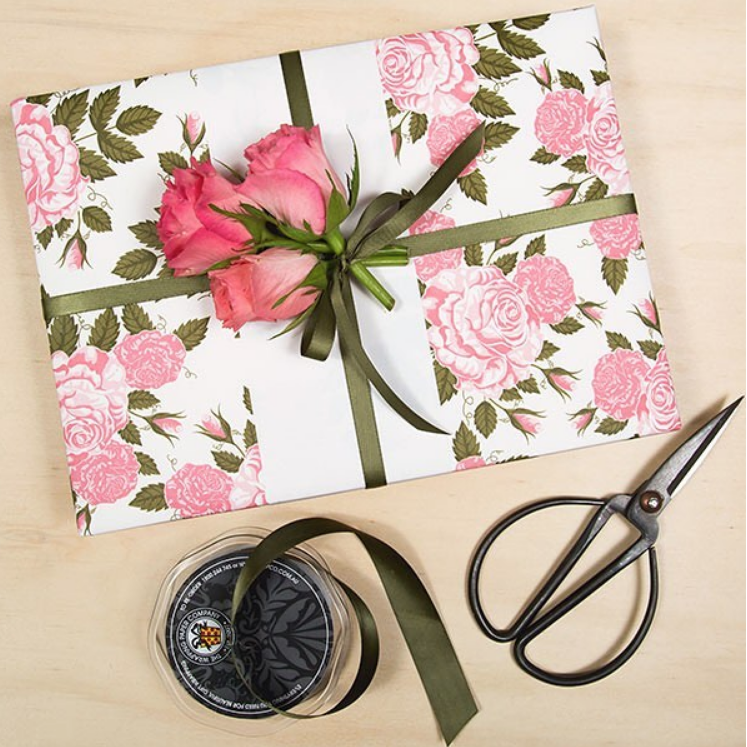 Put your skills to work and create a beautiful tactile floral arrangement to make nay gift bloom with personality. 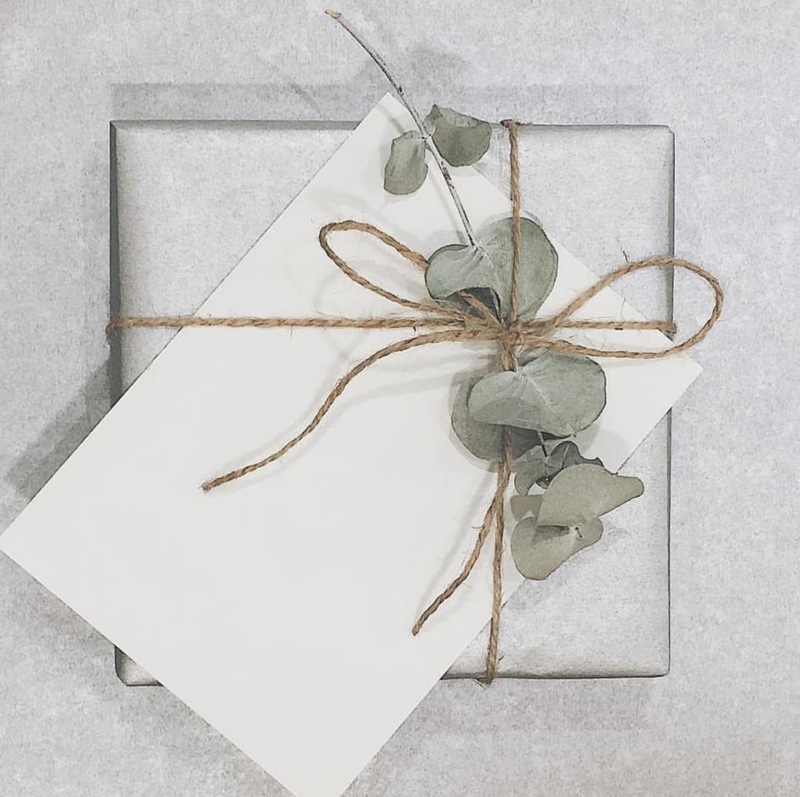 Paired back natural tones, textured papers and hessian inspired ribbon details will make any present feel like a gift from the earth. 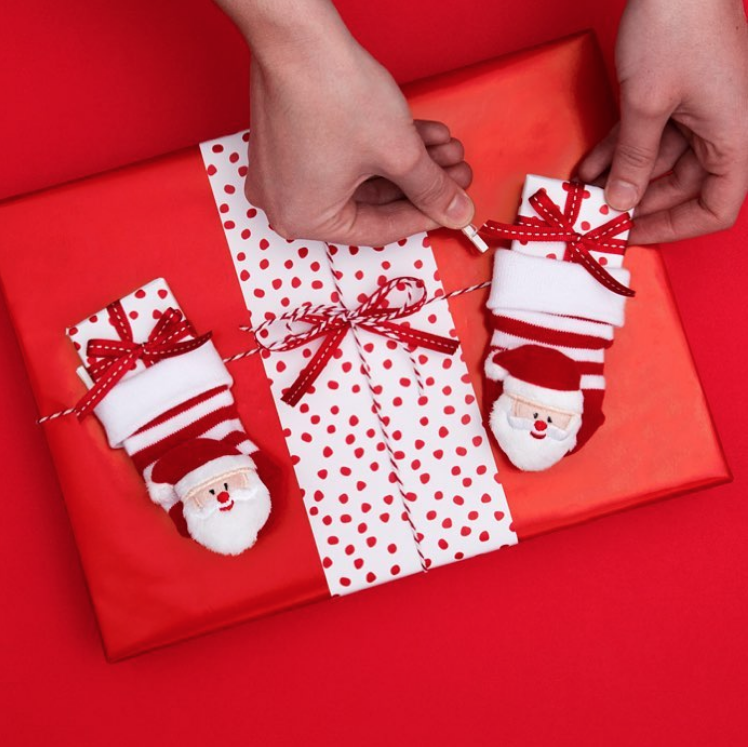 Dress up your Chrissy gifts with these cute mini Santa socks and stock them with teeny tiny presents. Out of ribbon? 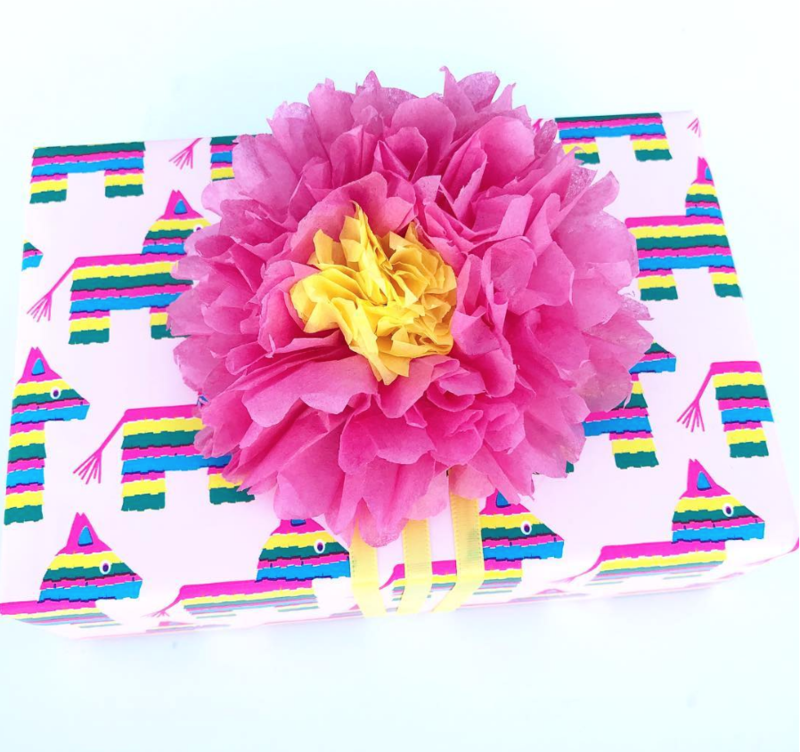 Not to worry, these paper bon bons make the perfect statement to top off any gift. 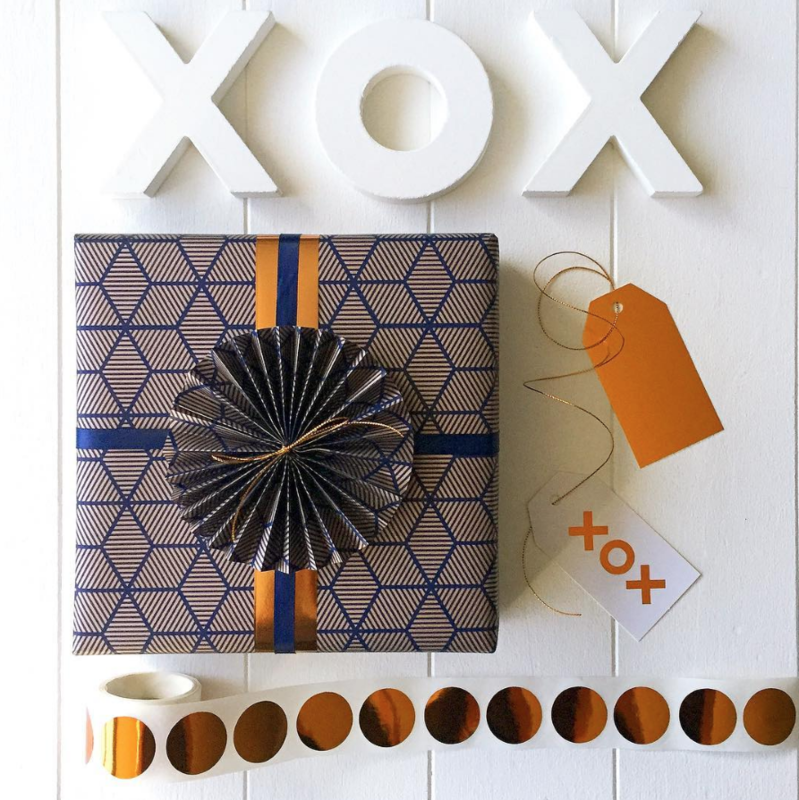 Use a combination of patterned metallic papers to create decorative shapes as a subtle hint to the theme of your gift. Decorative circular fans create a beautiful hypnotic effect when contrasted against papers with a graphic patterned aesthetic. Add a touch of softness and style with a scented flower arrangement fresh from your garden.